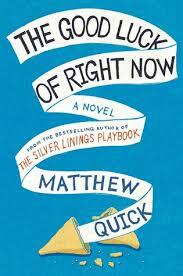 The Good Luck of Right Now by Matthew Quick (Harper, February 11, 2014) This new novel by the author of The Silver Linings Playbook sounds like it has the potential to be wonderful and quirky: A grown man, who has lived with his mother his whole life is adrift after her death. While trying to decide how to move forward, he finds a “Free Tibet” pamphlet among his mother’s things and decides to start sending Richard Gere personal letters about his thoughts and life. Sounds like it will be ridiculously charming. The Martian by Andy Weir (Crown, February 11, 2014) The Random House reps practically carried me up the escalator to get me upstairs faster to see this book, they’re so excited about it! It’s the story of Mark Watney, one of the crew of astronauts to be the first to walk on Mars. When a dust storm forces the crew to evacuate, they accidentally leave Mark behind, thinking he’s dead. Now Mark is left alone on the surface of Mars, desperately trying to figure out a way to get home. The first sentence in this book is so great: “I’m pretty much fucked.” I can’t wait to devour the rest! This Dark Road to Mercy by Wiley Cash (William Morrow, January 28, 2014) I am a huge fan of Wiley Cash’s first book, A Land More Kind than Home, and of Wiley himself, who is one of the funniest, most genuine people I’ve ever met. So I am crazy-excited to sink my fangs into his new book about two sisters whose wayward father suddenly appears back in their lives, bringing his troubles and danger along with him. Bellweather Rhapsody by Kate Racculia (Houghton Mifflin Harcourt, May 13, 2014) Emily Holden, my HMH rep, described this to me as ‘Glee meets the Shining meets Clue. Very murder mystery, with music.’ How could I not be excited with a description like that?!? The book takes place in New York, where the witness to a murder/suicide fifteen years ago comes back to face her demons. But then there’s a huge snowstorm, a disappearance – I won’t tell you any more, but it sounds like it has all the makings of creepy! Kate Racculia is awesome and I hope this book does really well for her – she deserves it. 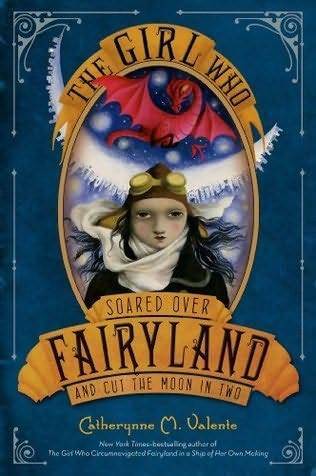 The Girl Who Soared Over Fairyland and Cut the Moon in Two by Catherynne Valente I could not love these books more. This is the third adventure of September in Fairyland, and again, it’s amazing. This time, September travels to the Moon, meets the Blue Wind, drives a car, and runs into old friends. As well as a million other great bits. I cannot stress enough how wonderful this series is. And the best part of these books is the language – the way Catherynne Valente spins words and sentences is nothing short of magical. The Secret of Raven Point by Jennifer Vanderbes (Scribner, February 4, 2014) Easter Island, the first novel by Jennifer Vanderbes, is one of my favorite books, so I was ecstatic to get my grubby little hands on an advanced copy of her new book. 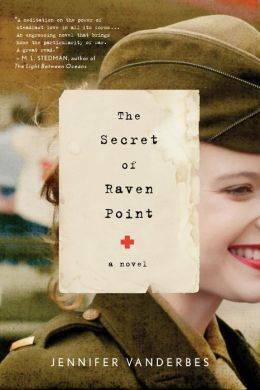 The Secret of Raven Point is about a young woman who lies about her age and enlists in World War II to search for her soldier brother, who has been reported missing overseas. And seriously – read Easter Island. It is historical fiction, done to perfection. Quid pro quo, Clarice: What’s been rocking your reading world this week?